Early this morning we received an email with an image attachment to our submission email (submit[at]igta5.com). Usually we receive fan artwork and affiliate requests, however it's fair to say we were pretty surprised by what we got this time. The image attached appears to be a development screenshot from the new Grand Theft Auto game, which is apparently set in Los Santos (at least partly). 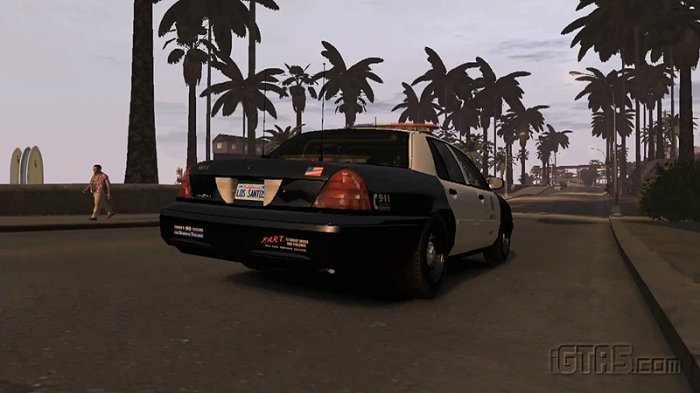 The image shows a cop car driving along a street lined with palm trees with some trademark logos on the rear of the vehicle, one of which says "FART" although we can't quite make out what it stands for. It's also sporting a Los Santos number plate which apparently confirms the games' setting. Here's the screenshot. 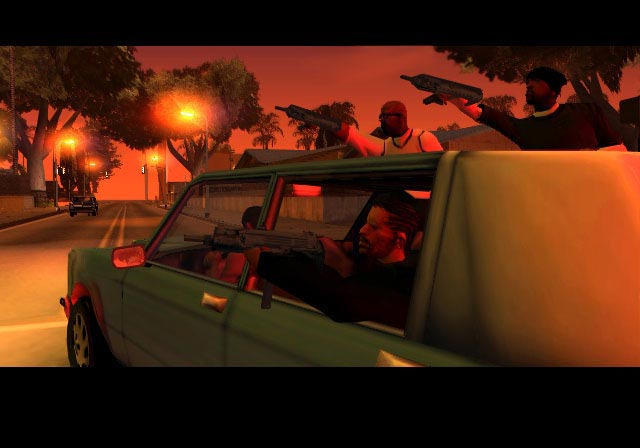 To me it looks like some sort of early development shot, similar to the early San Andreas screenshots... If it's fake, it's certainly one of the best we've seen. What do you think? Is it real and does a Los Santos setting appeal to you? Or have we just been sent a rather good fake? Either way we've added it to the Fan Art section of the Image Gallery for now until we can verify it, but it looks good to us! If you've created any artwork or other images for our gallery, don't forget to send them through to submit[at]iGTA5.com and we'll try to get as many on the site as we can. Hope everyone had a nice April Fools! As said, submit your own artwork and screenshots plus join the chat in the Grand Theft Auto 5 forums! Source of the pic posted above right here. Dear n00bs: this was an April Fools joke (that turned out to be correct in terms of location). 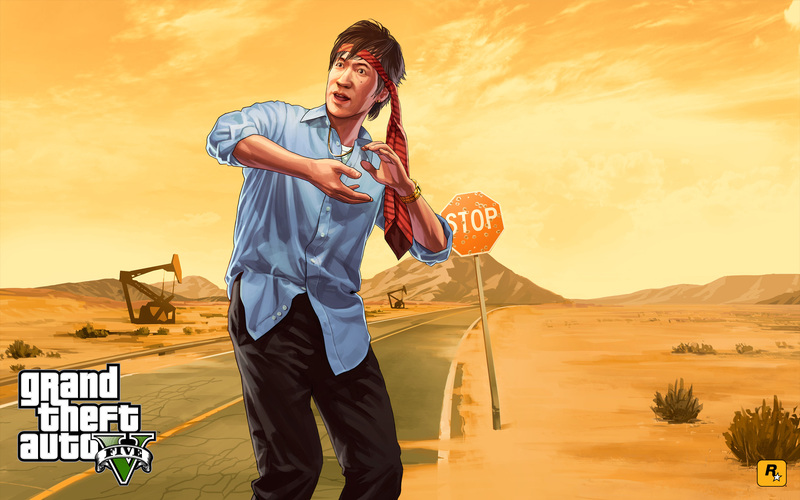 GTA 5 Los Santos Confirmed by Leaked Screenshot? - Early this morning we received an email with an image attachment to our submission email which appears to be a development shot of GTA5.